The overhauled Camry, with two distinct versions, runs the gamut from traditional XLE, above, to the sporty sedan with a red interior. NEWBERG, Ore. — When Toyota engineers and designers started work on the eighth-generation Camry, they were asked to create two distinct versions that would help broaden its reach and solidify its position as America's best-selling car. The cars also had to pass the 200-yard test. 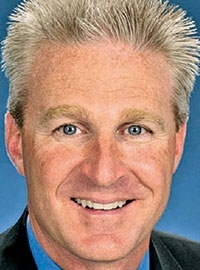 The imperative was an effort to inject some excitement into a sedan market that has fallen into a malaise, as a result of changing consumer tastes and indifference by some automakers, executives said. "There's notbhing pushing people into sedans. It's a perfect time to start fresh, from scratch, lead the industry, lead the sedan segment." Toyota has a lot riding on the bet. Midsize sedans are a cutthroat segment, and each redesigned model manages to stand out only until the next one comes along. Canadian sales of the Camry fell 6.7 per cent to 15,683 units in 2016 when compared with the year before. Through the first five months of 2017, sales are down 25.5 per cent to 5,506 vehicles compared with 7,388 last year. While Toyota isn't looking to the Camry to restore balance between cars and trucks, it is hoping to create a little sizzle in the midsize market that could insulate the company from a broader sales plateau, Hollis told Automotive News. For Toyota, the overhaul of the Camry has transformed a “vanilla” sedan into a small ice cream cart of flavours that run the gamut from a miserly hybrid to a sporty sedan with a blacked-out roof, red-leather interior and a 306-hp V-6 with quad-tipped exhaust. 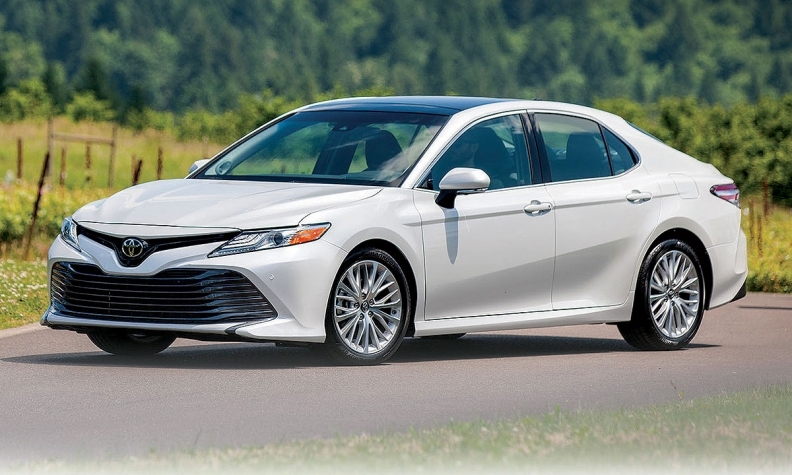 In fact, Toyota executives said the two versions of the Camry they created — the traditional LE/XLE and a more polarizing SE/XSE — could almost be considered three versions once you add the hybrid drivetrain that changes the suspension settings and power delivery. 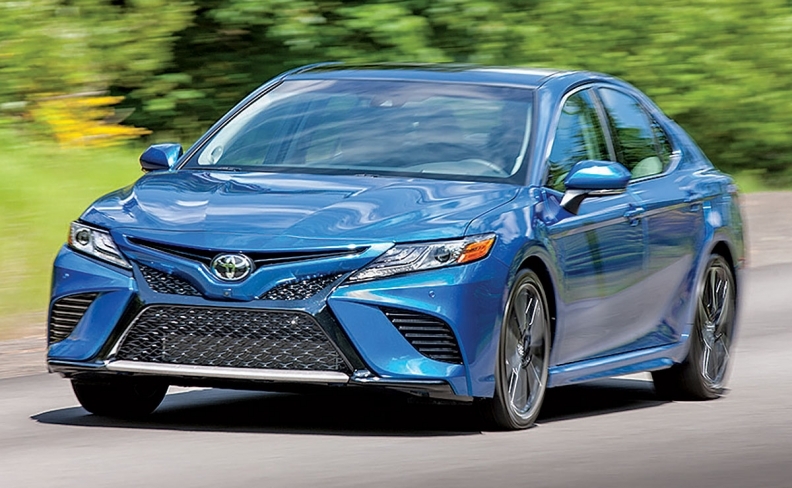 Camry's sporty S model, above, was built to pass the 200-yard test against L-badged sedans. “Do you see how many different cars are out there?” said Ian Cartabiano, chief designer at Toyota’s Calty Design Research, who penned the Camry. The outgoing Camry did have an XSE version, but it wasn’t very different from the regular one, he said. The eighth generation, by contrast, has a distinct front end, rear end, rocker panels, wheels and interior materials. Even the hybrid SE gets a “power” engine setting and paddle shifters. The models presented to journalists last week ranged from the frugal base hybrid LE (fuel economy and pricing will be released to the public on June 21), to the midgrade gasoline LE and SE models with an all-new 206-hp four-cylinder, and topping out with the XLE and XSE V-6 models that can be loaded up to near-luxury levels. In addition to squeezing about 30 more horsepower out of the four- and six-cylinder engines, Toyota is putting a new eight-speed automatic in the gasoline Camrys, with snappier shifts and better fuel efficiency. The hybrid gets a few more ponies and a continuously variable transmission that mimics the shifts of a traditional automatic, Toyota said. Camry chief engineer Masato Katsumata said that for all of the variations of the 2018 model, they are essentially the same where it’s most important. That’s because the sedan is the first full iteration of the Toyota New Global Architecture, with a sophisticated suspension design for balanced ride and handling, and new engines and transmissions. The base platform performed so well in early testing, Toyota said, that modifications for the L, S and hybrid versions came down mostly to adjusting for weight, tire combinations and the hybrid battery pack. That, Katsumata said, was a big positive because it avoided the need to stiffen the sport models to the point where traditional Camry customers would be uncomfortable. “Even an SE or XSE customer, they don’t want a pure sports car,” he said.